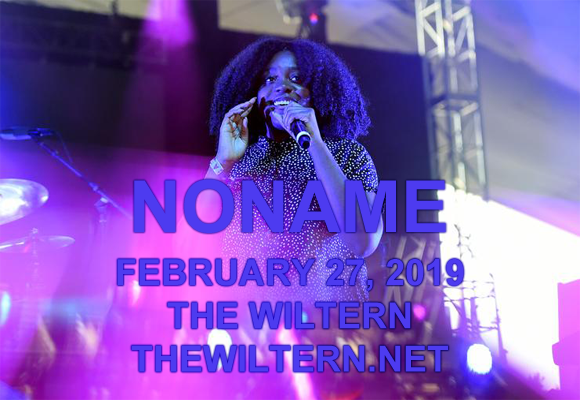 One of the most exciting new voices in hip hop, soul-fueled rapper and poet Noname comes to The Wiltern on Thursday 21st February 2019! Promoting her hot new album, Room 25, which has been blowing up across the board, the conscious and lyrically expert emcee will be dropping her incredible bars on stage and showing LA what she's made of! Don't miss your chance to see this insanely talented woman spit fire! Noname is a Chicago-based rapper and poet who first made her name on the local hip hop scene in 2010 through open mics and poetry slams, which led her to befriend other Chicago-based musicians on the circuit, including Chance the Rapper, Saba, Mick Jenkins, and Ramaj Eroc. Her friendship with Chance the Rapper led to guest vocal features on both his 2013 mixtape Acid Rap and his 2016 mixtape Coloring Book. She was also features on Mick Jenkins' 2014 mixtape The Water[s] and several tracks on Bronx rapper Kirk Knight's album Late Knight Special in 2015. Noname's solo debut, Telefone, was released in 2016 and is a mixtape centered around various telephone conversations. The mixtape was critically acclaimed across the board, receiving particular praise from Rolling Stone, Stereogum and Consequence of Sound. Her debut full-length album, Room 25, was released in September 2018 to universal acclaim, and was described by El Hunt of NME as "flawless".